Today is totally a holiday in my book so Happy Christmas Eve Eve! I hope you're enjoying the holiday spirit because I know I am. I can't stop listening to Christmas music and eating all the festive cookies I can find! I knew I wanted to set up goals for next year, but I didn't want to make a cliche New Year's resolution list. 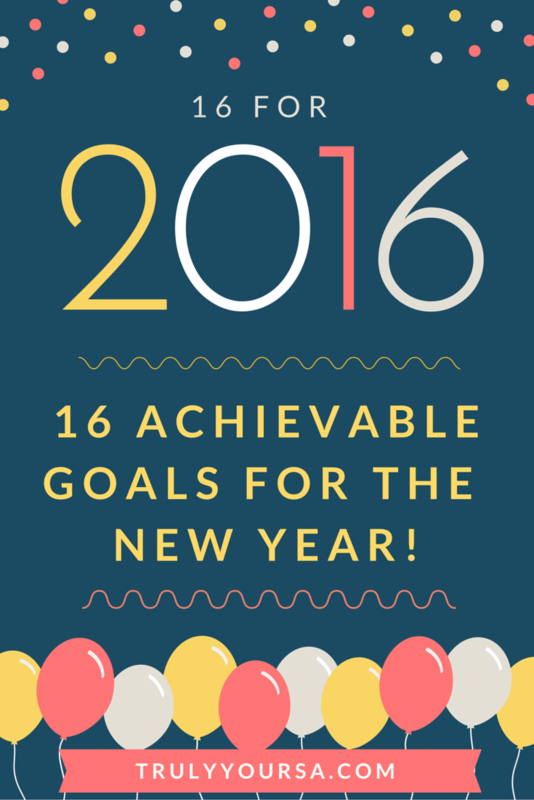 I decided to link up with Acorns & Lemonade and come up with 16 things I wanted to accomplish for myself in 2016. There aren't too many monetary or blog goals because most of those are on my "big picture" goal list. These "projects" will actually help me see the value in trying something new and sticking with it. Who knows? 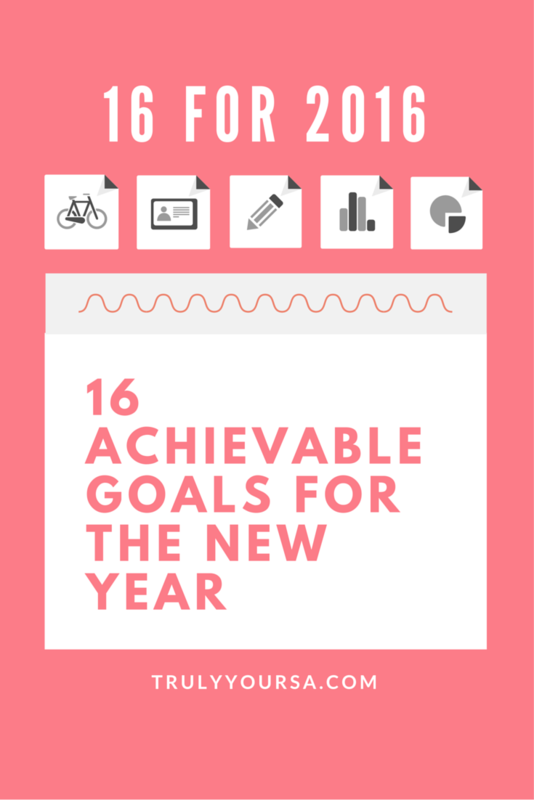 Maybe next year I'll have 17 new goals to accomplish in 2017! Want to see my list and maybe come up with your own? Keep reading! I always break up with my New Year's resolutions after a week. I'm a serial resolution heartbreaker, it's true. It's not that I don't try, but I am human and it's going to take more than a new year to get me to change my ways. That's why I'm posting my list here in the hopes that putting this out there for all to see I'll actually follow through for once. If you have any tips for making and sticking with your New Year's resolutions, please leave them in the comments below!